We will take the most absolute care while window washing and pressure washing at your home or business in Winston-Salem. At Steam Source, we offer window washing and pressure washing to help you get the maximum clean for your home or business inside and out! Not only can we handle this difficult and time-consuming task with ease and efficiency, but we use only the finest tools and equipment to best serve your needs. 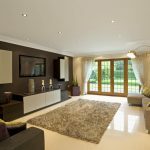 We will take the most absolute care while inside and around your home or business, so we can give you the best possible clean from top to bottom. Preventative Maintenance – One of the most beneficial reasons to schedule window washing and pressure washing is that it can help save you money on future repairs. 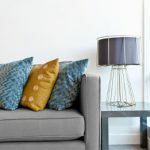 If these services are scheduled regularly (even just once per year), you’ll see a big difference in the appearance of your property in Winston-Salem, North Carolina. Health and Safety –If you have an excess build-up of dirt, mold, or mildew, harmful bacteria and allergens aren’t too far behind. 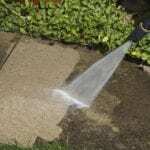 With window and pressure washing, these foreign intruders can be removed, so you can better protect the health and safety of your home or business and everyone inside. Self-Satisfaction & Home Appeal – Another great reason for window and pressure washing is simple self-satisfaction and appeal. Your home or business is a big financial investment, and you work hard to keep it in top shape. If you’re thinking about repainting or replacing some of that dirty siding, let us help. Our customers are always impressed with how much window and pressure washing can do for their property without spending a lot of money to achieve results. Our skilled and professional cleaners are insured and bonded, and we are committed to your satisfaction after each window washing and pressure washing service we provide. We have what it takes to make your home or business shine and stand out, so call us today and schedule your free estimate! 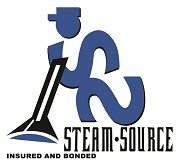 At Steam Source, we offer window washing and pressure washing services in Winston-Salem, Greensboro, Kernersville, Clemmons, Advance, High Point, Mocksville, Pfafftown, Jamestown, Oak Ridge, Summerfield, Lexington, King, Walkertown, Colfax, Lewisville, Welcome, Bermuda Run, Thomasville, Yadkinville, and Walnut Cove, North Carolina.